This one started off as an experiment, but totally turned into a winner. And after I made these, I found through Google that I’m not the first one to have this same thought, but the recipe is unique and a definite winner! I’m talking Drunken Deviled Eggs, based on the flavors of my favorite Thai dish, Drunken Noodles. May sound weird, but this one is seriously delicious. 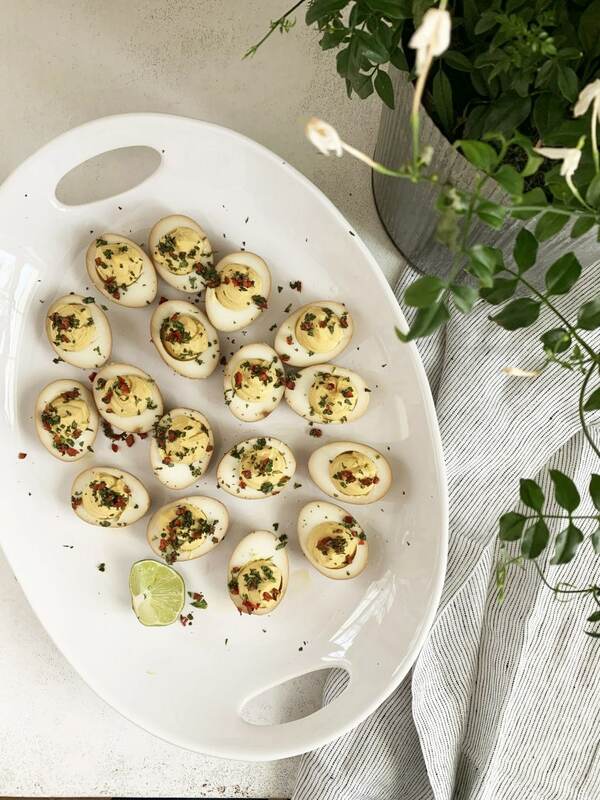 Based on the flavors of my favorite Thai dish, Drunken Noodles, these deviled eggs will bring something new to whatever dinner you serve them at, and people are gonna love 'em. Mix all the marinade ingredients together. Add the eggs and place a plate on top. Cover with plastic wrap and put in the fridge for 12 hours. After 12 hours, remove the place and keep the bowl in the fridge for an additional 12 hours or so. Remove the eggs from the marinade and pat dry. Cut each in half, carefully scoop out the yolk into a mixing bowl, and place the egg halves on a serving platter. In a frying pan over medium low heat, combine the avocado oil, ginger and garlic. Mix together until the garlic and ginger just start to bubble, then pour the oil mixture directly in with the egg yolks. Add the mayo and, using a hand mixer, beat the egg yolk until a smooth paste forms. Add the lime juice, oyster sauce, and chili garlic paste and beat until smooth and fluffy. Put the filling into a gallon-sized zip top bag and cut one of the corners out of it. Use that as a piping bag to pipe the filling into each egg half. Mix together the basil and jalapeño, and top each egg with a teaspoon or so of the mix. 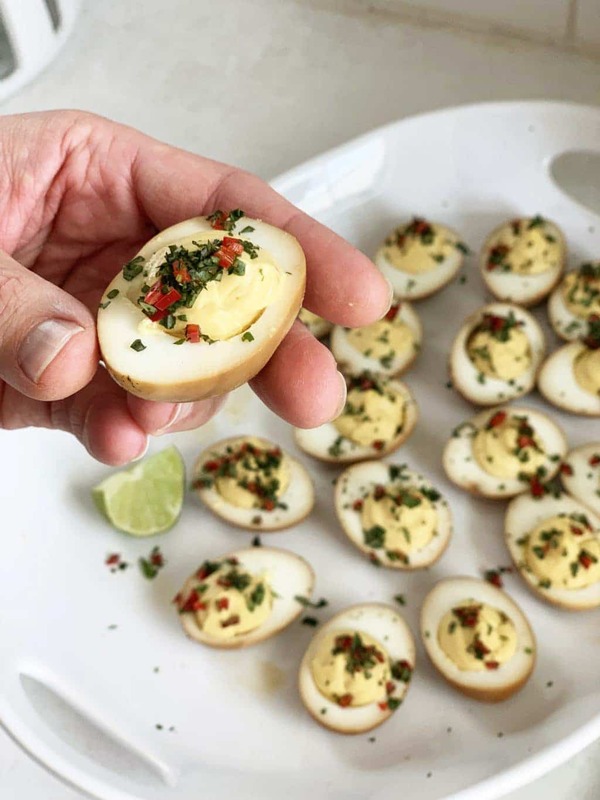 Squeeze a little lime juice over the top of each egg and serve immediately with more lime wedges on the side. 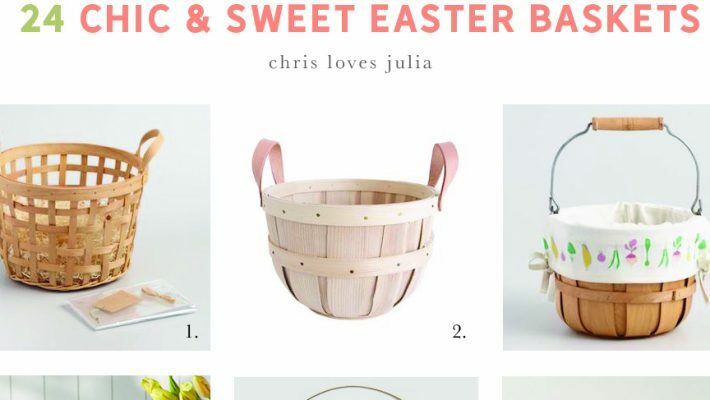 « 13 Spring Projects to Tackle This Weekend! 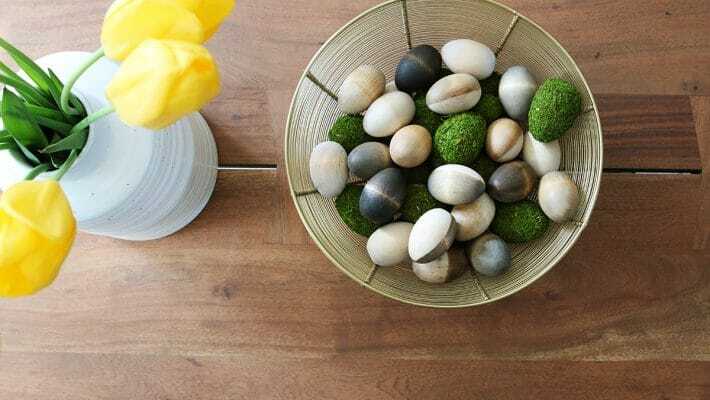 DIY Simple Easter Decor | Staining Wood Easter Eggs! I made this recipe and it was super well received. As someone with back yard chickens, I often have more eggs than we know what to do with. I often end up making deviled eggs for social events and was excited for a twist on the traditional recipe. Regarding the comments where people are concerned it is complicated/demanding, making the marinade was easy (used mason jars) and the filling took no longer than normal deviled eggs. The toppings on the eggs are really what made it quite special. Don’t skip the lime and basil. Thanks for sharing C and J.
I love your cooking style and all of your recipes! Maybe you should post a disclaimer- If you subscribe to BonAppetit, by all means, continue; if you read Sandra Lee’s semi-homemade cookbooks- turn back now. Haha, “Sandra Lee” is my weekday cooking style. Your dishes always look amazing. How about a series of 5 ingredients or less for the culinary challenged like me =D ! A lot of work but they sure look good! I have had fish sauce in the past and I don’t love it… too “fishy” ;). Is the flavor of it very strong in this recipe? I am dying to test it out but I would not enjoy it if the fish taste was very strong. Not at all! At least in my opinion. 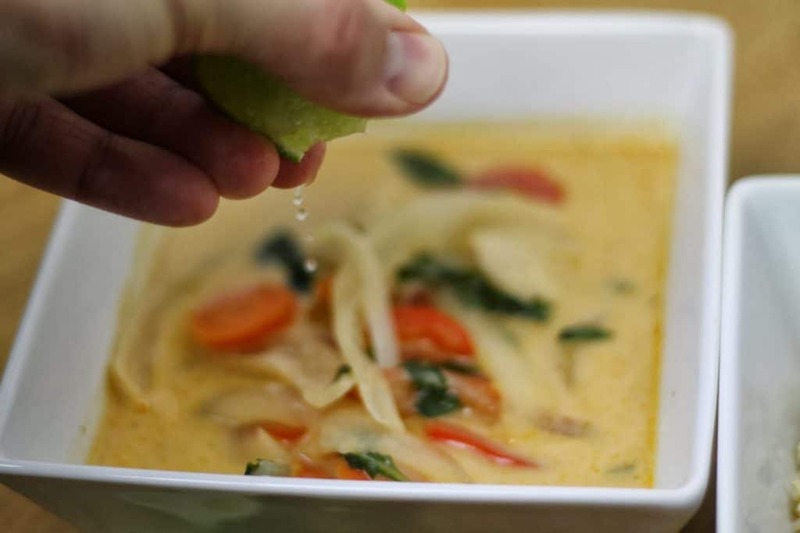 The best Thai food is so well-balanced in flavor that the fishiness of fish sauce disappears.